A diet rich in plants such as leafy greens, colorful vegetables and fruits will make your system less acidic, which is conducive for strong bones. However, plants are relatively poor sources of calcium compared to animal sources. Non-fat or low-fat dairy products such as skim milk and Greek yogurt are excellent sources of calcium, but many adults do not tolerate dairy due to lactase deficiency or milk allergies. Adult human hunter-gatherers for millennia acquired most of their calcium by consuming animal bones, where it is found in a matrix of bone-building nutrients including: magnesium, phosphorus, manganese, zinc, iron, copper, collagen protein and osteocalcin. I know, eating bones during your meals is currently inconvenient and socially impolite, yet it may be a key to strong bones and soft supple arteries. 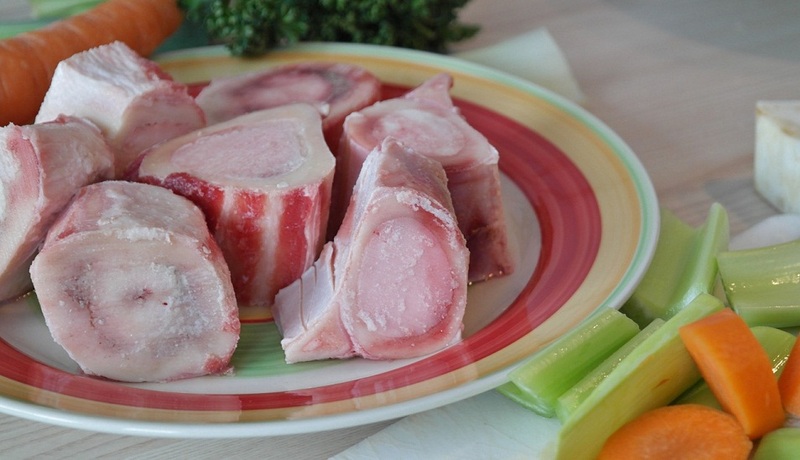 Make stews using bones, letting them slow cook for hours. And if you like sardines, look for those with the skin and bones intact, packed in water with no added salt.